Dominic Thiem has eight claycourt titles and is seen as one of the few players capable of denying Rafael Nadal a 11th Roland Garros title. 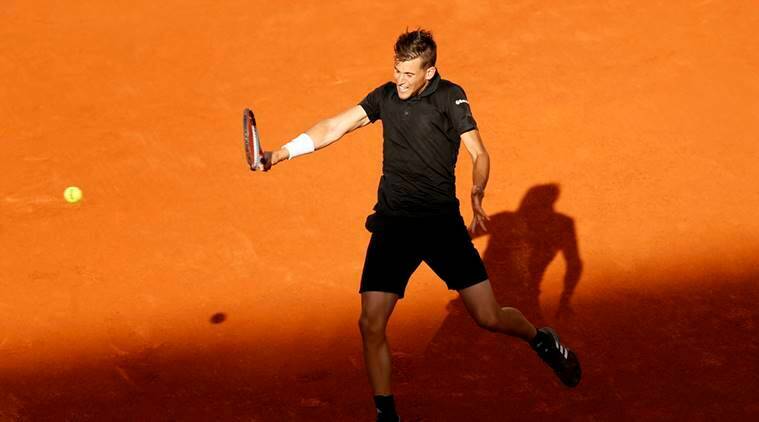 Dominic Thiem warmed up for the French Open by winning the Lyon Open title on Saturday with a gritty 3-6 7-6(1) 6-1 victory over French veteran Gilles Simon in the final. The 24-year-old was staring at defeat while down a set and a break but dug deep to prevail in two hours 24 minutes for his 200th tour match victory and his 10th ATP title. Thiem has eight claycourt titles in his career and is seen as one of the few players capable of denying world number one Rafa Nadal a record-extending 11th title at Roland Garros. French Open 2018: Who can stop Rafael Nadal from 11th title and how? The Austrian snapped Nadal’s year-long winning streak of 50 consecutive sets when he beat the Spaniard in the Madrid Open quarter-finals earlier this month. His tenacity and endurance will serve him well at the claycourt grand slam that begins on Sunday. Thiem was forced to play twice on Friday, coming through a three-setter in the semi-final against Dusan Lajovic after earlier completing his quarter-final against Guillermo Garcia-Lopez which had been suspended due to fading light the previous day. The long hours on court appeared to tell as Thiem tamely capitulated the first set on Saturday but he found a way back into the match and did not look back. Thiem, twice a semi-finalist at the French Open, will have a day’s break before he begins his campaign at Roland Garros with a first-round match against unseeded Belarussian Ilya Ivashka. “France has a very special place in my heart. I’ve always played great tennis here and I hope I will always play great tennis here,” Thiem added.